Whether you need a customized shipping program, same-day delivery service, a distribution center, or trucking for your cargo, Quick Delivery is here for you. Since 1983, we've built our reputation on our unwavering commitment to superior customer service. Your satisfaction is our primary goal, so we offer logistics solutions 24 hours a day, 7 days a week. Our services include warehousing, inventory control, distribution, ground transportation, and local delivery. Contact us for dependable, flexible logistics services at very competitive rates. For your convenience, our office staff and drivers are bilingual to better serve you. Choose us when you need reliable ground transportation and speedy local delivery. We offer a 2-hour rush service and volume discounts. Plus, you can trust us to handle your cargo like it's our own and provide pricing that's always competitive with local rates. 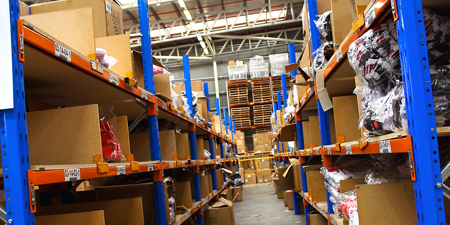 Our huge warehouse is ready to receive and store your merchandise. We can pick, pack, label, and deliver statewide. We specialize in palletized cargo. When it comes to distribution, you won't find a company more careful with your goods. Our employees secure your inventory and make sure it reaches its destination safely and on time. Call for service and receive a free estimate. Our services are perfect for any commercial business that sells products and requires inventory distribution. We serve Fort Lauderdale, Miami, and Palm Beach, Florida. My team and I welcome you to Quick Delivery. Over 35 years ago, our first delivery was achieved with the same commitment to excellence in customer care as we do every day. As a former educator and coach, our team spirit is based upon the principles of hard work, dedication, and excellence in customer service. The mission of Quick Delivery is to provide our clients with quality and dependable customer service for all transportation needs. 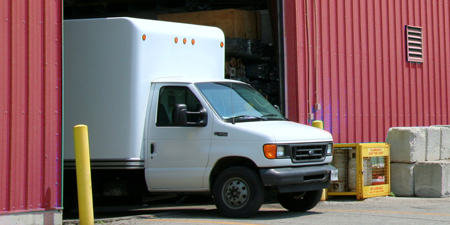 Quick Delivery now offers a variety of logistic and/or transportation needs with a customized program. On behalf of the Quick Delivery team, I thank you for your time and consideration.